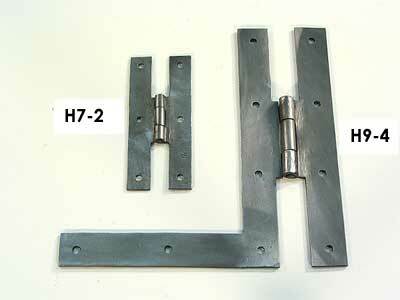 Iron “H” and “HL” Hinges come in 3 different sizes. The 4” size is used for cupboards and furniture. The 7” size for interior house doors. 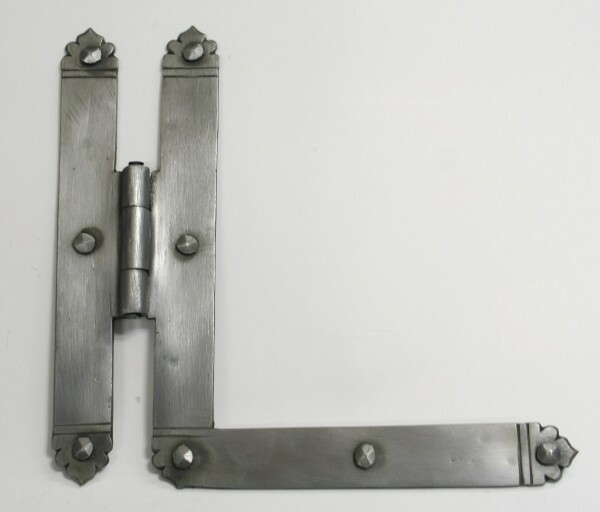 The 9” hinge for exterior house doors.